It’s time to do a year-end recap, but today I’m bringing you something different. Instead of summarizing my favorite Brandon Sanderson books of 2015 as I did in every top ten lists, I decided to make an infographic. It might or might not still mention Sanderson. 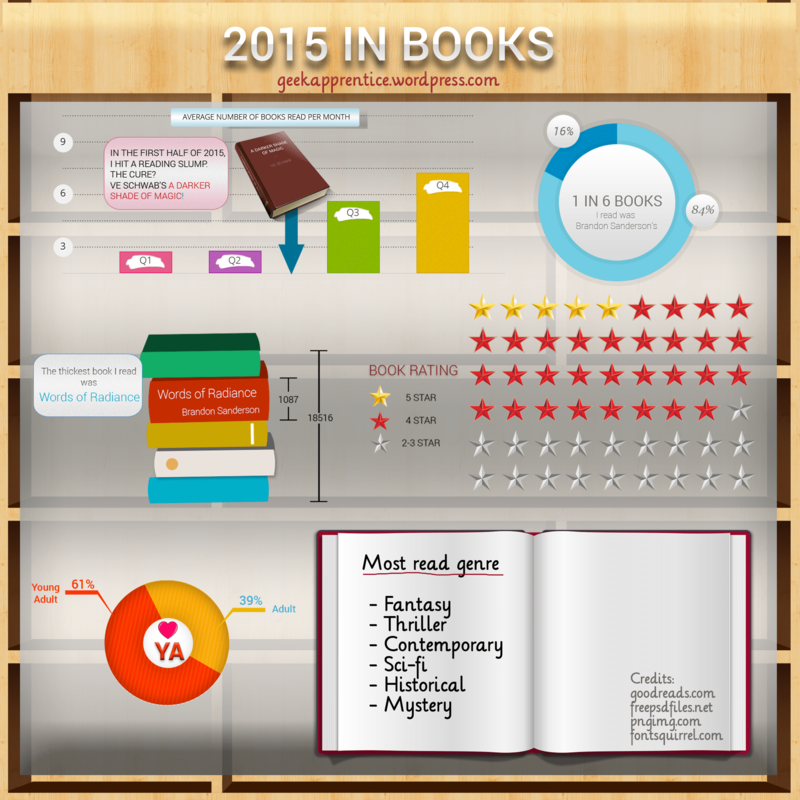 Honestly, this was inspired by Goodreads Year in Books infographic, which is infinitely more awesome than mine. They also kept track of my books and even gave me cool stats to work with. SO, thank you goodreads! Nice job! I’m considering compiling something similar but will likely have more pie charts and will use slightly different statistics.